This morning I handed over to our typesetter the tenth volume under the Robert J. Sawyer Books imprint. 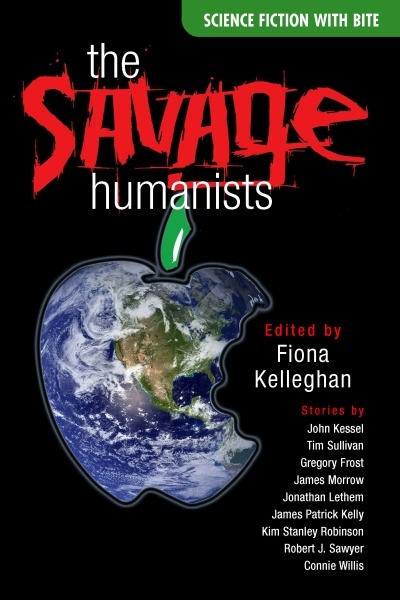 This one is an anthology entitled The Savage Humanists, edited by Fiona Kelleghan of the University of Miami; we'll be publishing it later this year. We have high hopes for this book in the academic market (it's got a 17,000-word scholarly introduction by Fiona Kelleghan, plus her notes on each story), as well as good bookstore sales. What if we were modified neurologically so we could only tell the truth? What if aliens beamed us proof that God didn't exist? What if the sideshow freak you're seeing is really a visiting alien? What if a teleportation accident created a duplicate you? Meet the Savage Humanists: the hottest science-fiction writers working today. They use SF's unique powers to comment on the human condition in mordantly funny, satiric stories, each accompanied by commentary by renowned SF scholar Fiona Kelleghan. Every author in this anthology has been nominated for the Hugo or Nebula Awards -- or both! -- and many have won. In these pages, you'll find the top names in the SF field: including Jonathan Lethem (author of the novel Gun, with Occasional Music), James Morrow (The Philosopher's Apprentice), Kim Stanley Robinson (Red Mars), Robert J. Sawyer (Rollback), and Connie Willis (The Doomsday Book), plus Gregory Frost, James Patrick Kelly, John Kessel, and Tim Sullivan. FIONA KELLEGHAN has published SF criticism in Extrapolation, The New York Review of Science Fiction, Science Fiction Studies, Journal of the Fantastic in the Arts, and SFRA Review. 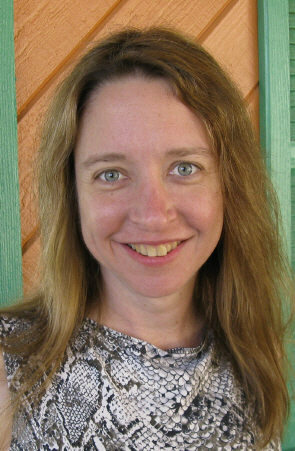 She is a librarian at the University of Miami. Nice blog, Robert. 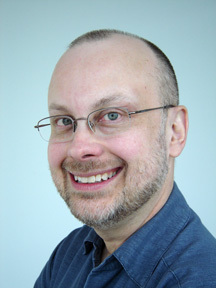 I learned about your site through writer James A. Ritchie. If you don't mind, I'd like to link to your blog. I have to admit to not having read any of your books. :/ I'll have to rectify that soon. Hi, Gary. Many thanks, and, by all means, link away! Those are some great writers listed on the cover. Any book that has stories by Willis, Kelly and Kessel has to be taken seriously. Oogh, where/when can I get a copy?